Jazz up your next celebration with a red LED Moravian star. 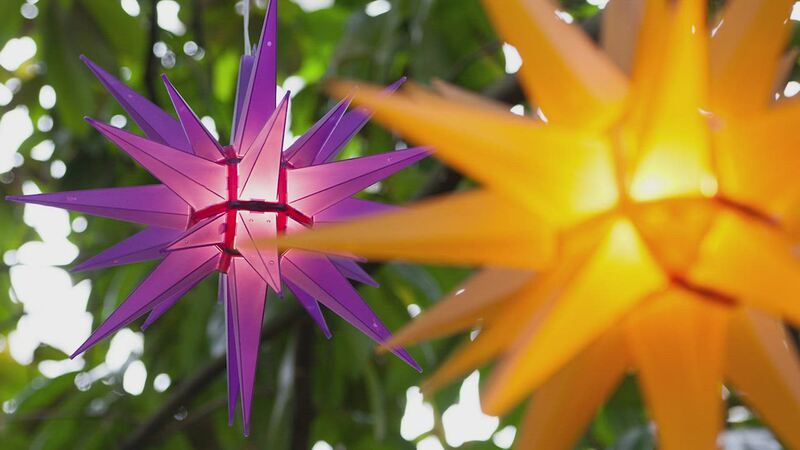 A 60 inch lead wire lets you hang these brilliant stars almost anywhere indoors or outdoors. Long lasting LED bulbs ensure that this beautiful star will shine brightly for many years to come. Your holidays are sure to be bright with these stunning stars. Big and Beautiful. Easy to assemble! I was disappointed with the quality of this product. Assembling this star in time consuming and frustrating. Plus, the two halves of the star do not stay together; I had to use glue. Just what I wanted. Saw these Moravian Stars in Germany last year and when I saw that you carried them it was a no brainer!!! They look awesome.